We strive to build and support reliable IT solutions. Improve the documentation, organization, and management of your workflows. 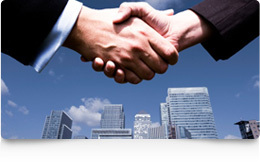 Lean on a trusted IT solutions partner and strategist for all your needs. We are at the forefront of the latest and greatest technologies. IDT’s strong relationship with industry-leading partners allows us to offer a wide variety of best-of-breed hardware and software solutions. We offer full range cloud solutions for infrastructure, security, communication, and business applications. 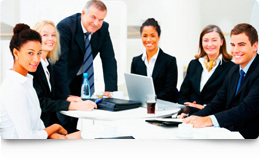 Gain access to enterprise-grade IT solutions with our world-class services and solutions. With customizable plans that cover everything from complete IT service, to monitoring, business continuity, and disaster recovery plans, companies can choose the level of service they need. With our partnerships with industry-leading companies like IBM, Cisco, SonicWALL, Lenovo, Ruckus Wireless, and more, our experts have access to the latest technological innovations, as well as the support to ensure the continued success of projects and implementations. Control the surge of paperwork and reduce strains on administrators with the latest innovations in digital dictation software and solutions. We deliver next-generation solutions that enable organizations to easily improve dictation workflows and employee performance. Our partnerships with industry-leading companies allow us to provide the highest level of support and the best services to our clients. From networking designs and implementations, to flexible IT service plans, and digital dictation solutions, our experts have the high-tech know-how and communication skills to find solutions that fit the most specific business need. 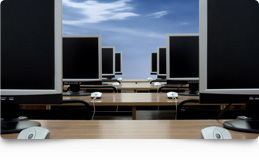 IDT has been our IT services provider for over 15 years, during which they have supplied and supported our networks, computers and related hardware in both our home office and remote offices. You won’t go wrong with IDT. I have worked with IDT for many years. Their service is always excellent. I recommend them without hesitation. They are the best of the best!